April 24th, 2019 || LGBT, News and Public Affairs. WMNF is a registered 501(c)3 charitable organization - The Nathan B. Stubblefield Foundation, Inc.
WMNF is non-commercial community conscious radio – we survive only due to the generosity of listeners like you. Please consider a sustaining monthly contribution and receive annual coupons for swag when you Join the WMNF Circle of Friends. Enter the information at least two weeks prior to your event for best consideration. It may take up to a week to put it online, so please be patient. If you submit the event last minute, it unfortunately may not be published. If you submit multiple events not all may be published, but we try! Information must be entered in starred fields; others are optional. There is a limit of 250 characters in the text description. Please do not use exclamation points, or type in all capital letters. Remember to fill out the fields for date, time, and venue, if appropriate for your event. Do not include prices, or any word related to cost, including the word 'free.' YOUR ANNOUNCEMENT MAY BE DECLINED if you include prices. Write as if you were addressing a single person. All input is subject to approval and we reserve the right to edit any and all submissions. Please include the proper website, phone number or email address for people who want further information. If you have a question about your submission, please write help@wmnf.org. WMNF reserves the right to publish, decline, or edit all Political Action submissions to protect our FCC & Non-Profit status. All the other guidelines for submitting an event apply to Political Actions as well. If this announcement is for a concert that’s not a benefit for a nonprofit organization, you can contact Laura Taylor to find out about being included on WMNF’s Concert Calendar, on-air and on our website. We have special rates for local bands: laura@wmnf.org or 813-238-8001 x 132. While we will post some concerts that are posted on the events page, for just a few dollars you can have your event highlighted, add a picture, and be in the concert calendar, which airs multiple times every week. The Community Bulletin Board at WMNF is offered as a courtesy to non-profit organizations to broadcast events and fundraisers to listeners within the Tampa Bay region. For priority placement on the Community Bulletin Board, you must represent a 501(c)(3) or (4) IRS-designated organization. We will consider other arts and culture events offered free of charge to the public as space allows. Sorry, WMNF does not do public service announcements for partisan political groups. 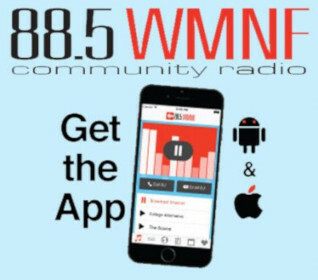 WMNF 88.5 FM invites nonprofit organizations to record a 30-second public service announcement for broadcast on 88.5. The guidelines are below. The announcement must be for a registered nonprofit organization. Announcements are recorded with just voice, no music. A person from YOUR organization voices it. Since we’re non-commercial, announcements we can’t do a Call to Action for another organization. So you can’t say “come on down,” “don’t miss it,” “sign up now” or anything similar. But you can say, “You can go to (this website) for more information.” WMNF can’t announce prices, but you can direct people to a website or phone number for more information. And if it’s time-sensitive, we’d want to record that at six weeks before the date, so we have time to get things together and broadcast it for two weeks. PSAs can be about what your group does and when you meet, or about a specific event you’re putting on. We’ll air one PSA at a time for each group, and the station reserves the right to refuse announcements. You can email a draft of your script to nonprofitpsa@wmnf.org . Once your script is ready, we’ll find a good time for you or someone from your group to come to the station and record it. Nonprofit ( 501(c)(3) or (4) IRS-designated organization )?